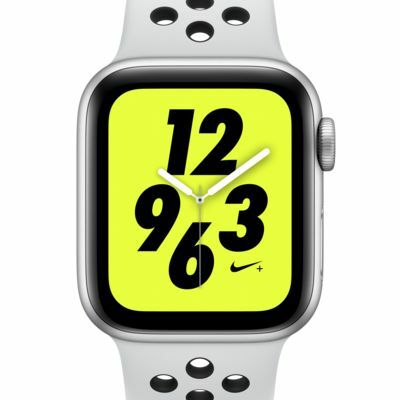 Apple Watch Nike+ has been redesigned to help make you a better athlete. Featuring a screen that goes nearly edge to edge, you can easily see your next workout and the exclusive Nike watch faces. A new digital crown gives haptic feedback as you switch between apps. Built-in sensors make your exercise stats more accurate. And thanks to the high-performance Nike Sport Band, you’ll be ready to take your fitness to the next level. Apple Watch Series 4 (GPS + Cellular) requires an iPhone 6 or later with iOS 12 or later. Apple Watch and iPhone service provider must be the same. Cellular is not available with all service providers. Not all service providers support enterprise accounts. Check with your employer and service provider. Some legacy plans may not be compatible. Prepaid plans are not supported. Coverage dependent on carrier network. Roaming is not available outside your carrier network coverage area. Wireless service plan required for cellular service. Contact your service provider for more details. Have your say. Be the first to review the Apple Watch Nike+ Series 4 (GPS + Cellular) with Nike Sport Band. 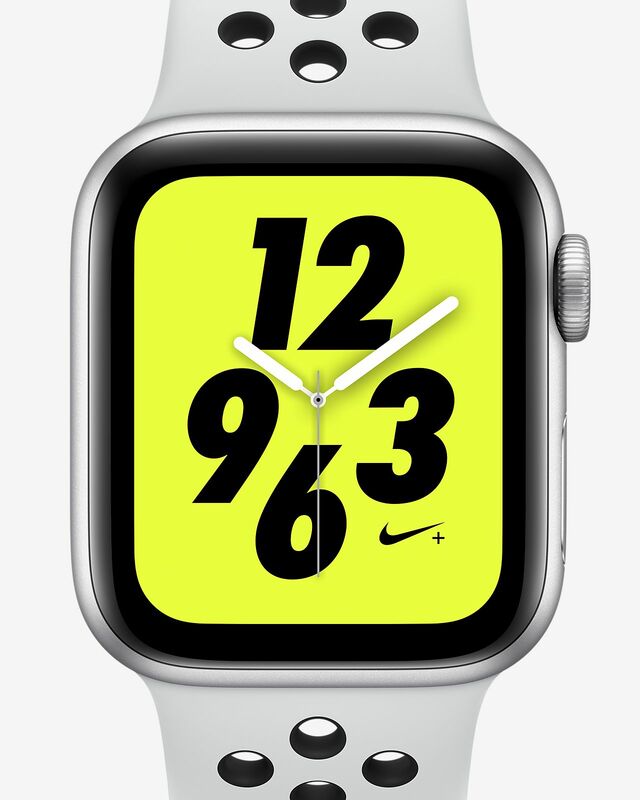 Add AppleCare+ Coverage for Apple Watch Nike+ here. What's the difference between GPS and GPS + Cellular? Participating carriers are subject to change. Please check with your carrier for the most current information.